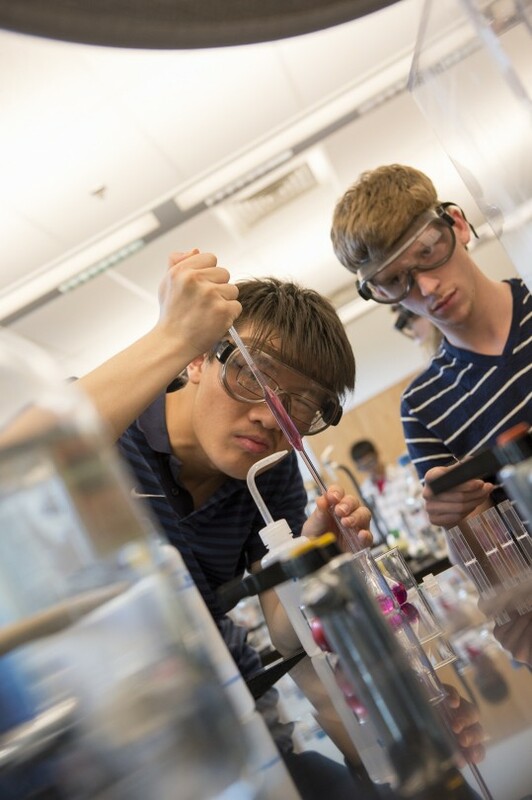 Chemistry Majors Biochemistry Major ACS-Certified Biochemistry Major Faculty & Staff Courses Resources & Opportunities Student Awards Instrumentation What Is Chemistry? 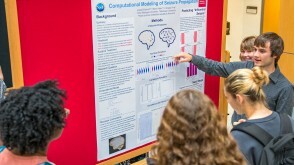 Conduct independent research under the guidance of a faculty member in areas as diverse as computer modeling, synthesis and analysis of inorganic complexes, design and testing of probes for environmental analysis, synthesis of complex organic molecules, and chemical modification of proteins. 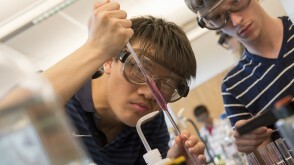 Chemistry students Erin Boedicker ’17 and Zhiyao Li ’17 studied Cryptocaryol A, a stereochemically complex natural product with potential anticancer properties. They devised a convergent, stereoselective, and concise total synthesis of Cryptocaryol A. 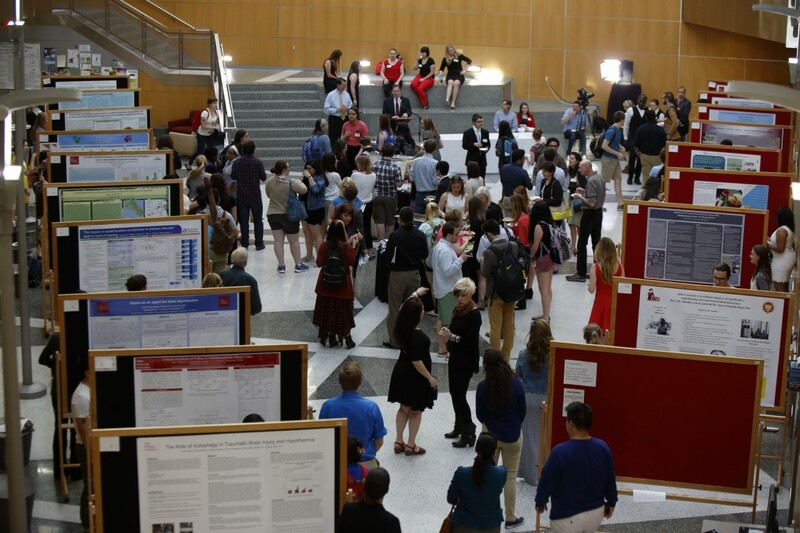 They presented their work at the 2016 Student Symposium. 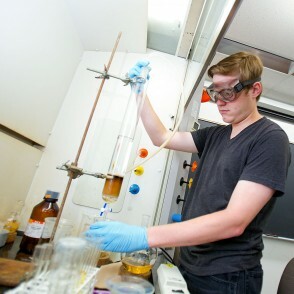 During the 10-week Summer Science Resarch Program, Alexander Landgraf ’16 collaborated with his professor on research intended to improve water purification processes. 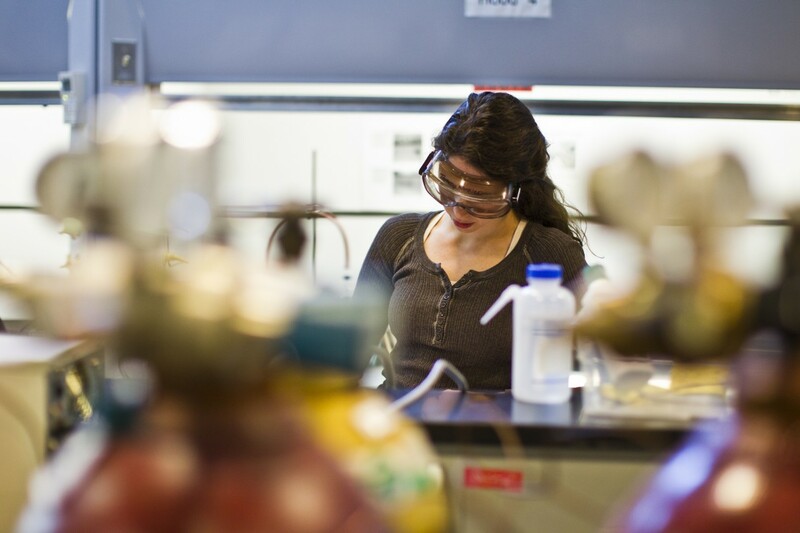 Sarah Bergman '18, James Zoller '18, and Lauren Boedicker '18 worked with Professor Allen Pistner to find a more affordable and effective chemical catalyst for biodegradable plastic. 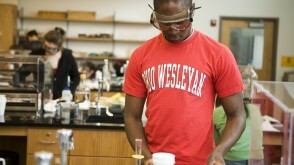 Chemistry and Black World Studies major Jade Giordani '17 used an OWU Connection grant to research water quality and the semi-nomadic lifestyle of the Maasai. 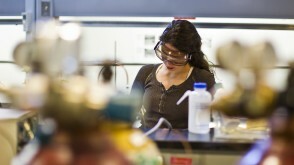 After graduating she became a chemistry lab technician at Battelle. 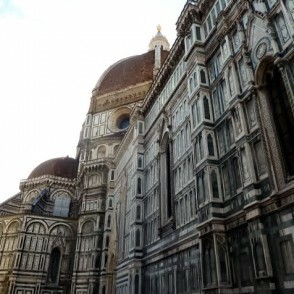 OWU students visited Italy as part of a Chemistry and Art Travel-Learning Course. During the trip, students learned how chemistry plays a vital role in the creation, preservation, restoration, destruction, forgery detection, and analysis of the many works of art throughout Italy. 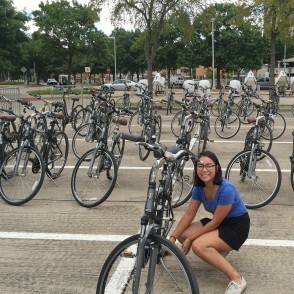 Chemistry and Studio Art major Rachel Spotts '17 used an OWU Connection grant to complete an internship at the Umlauf Sculpture Garden and Museum in Austin, Texas. 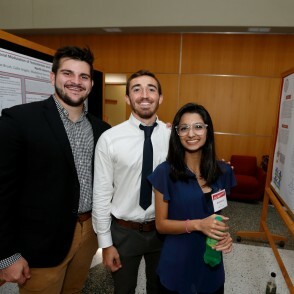 Jackson Druckenbroad '19, Nolan Norman '20 and Ramsha Shah '20 spent their summers creating an organic molecule called dipyrrin. Dipyrrin can be used for photodynamic therapy, a safer and more targeted form of cancer treatment than chemotherapy. 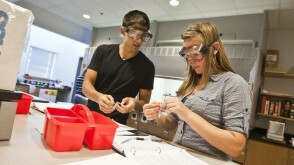 The department features seven modern laboratories for classroom research and four dedicated labs for use in independent research with faculty. The facilities are designed to expedite workflow and promote collaboration. A mass spectrometer measures the mass/charge ratio of samples that have been ionized. 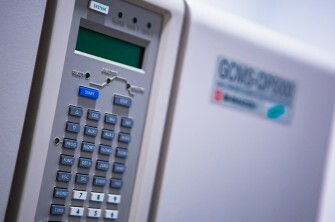 OWU's Shimazu QP5000 Gas Chromatograph Mass Spectrometer (GC/MS) features electron-impact ionization and a quadrupole mass spectrometer. It is fitted with a robotic sampler for automated and unattended operation. 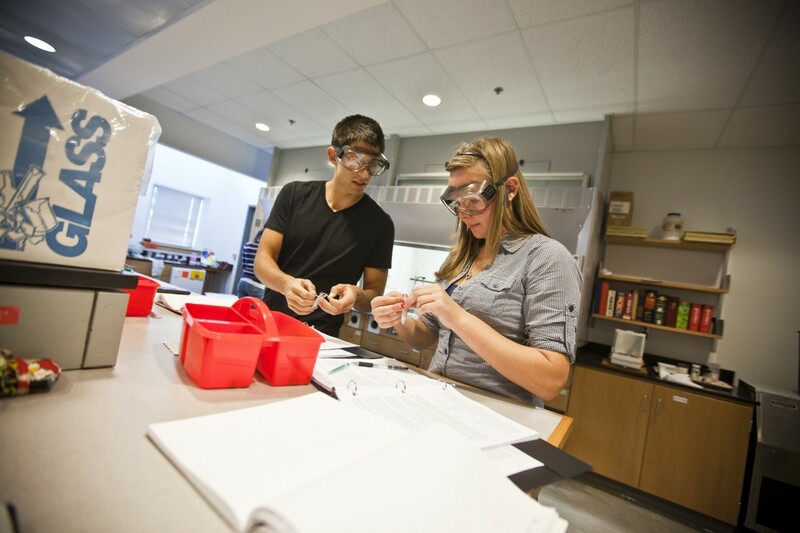 Chemistry majors put their expertise to work in a number of paid positions at OWU, including lab assistants, tutors, graders, and stockroom assistants. 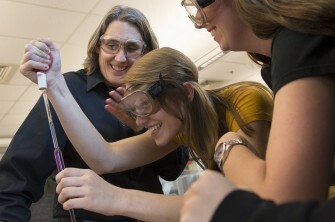 Thursday is Science Lecture Series day at OWU. 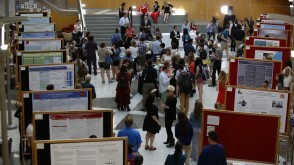 Researchers from across the country in biology, chemistry, computer science and mathematics, geology, physics, and neuroscience discuss their work in lectures aimed at the general science audience of faculty and students. 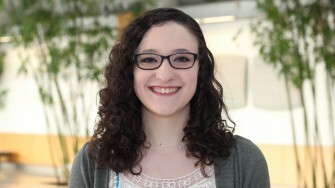 A double-major in Chemistry and Genetics, Breane received a prestigious 2016 National Science Foundation Graduate Research Fellowship. 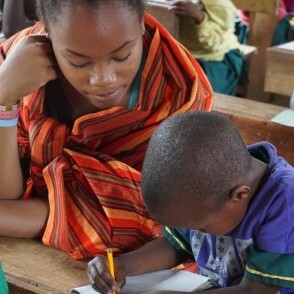 She is now pursuing her doctorate in cellular and molecular biology at the University of Michigan. 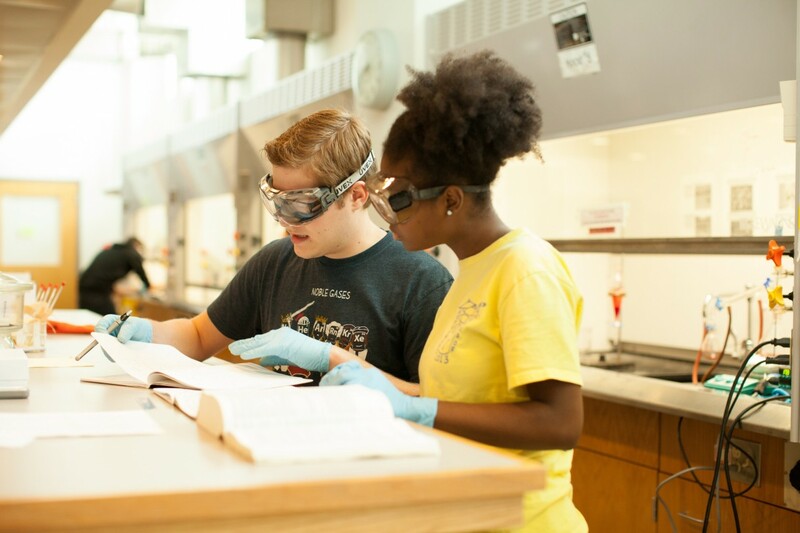 Recent graduates have moved from OWU to science careers at Battelle, Boehringer Ingelheim, the Clean Air Council, Columbia Chemical Corp., M.D. 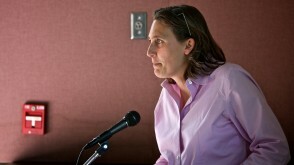 Anderson Cancer Center, Monsanto, and other leading corporations and organizations. 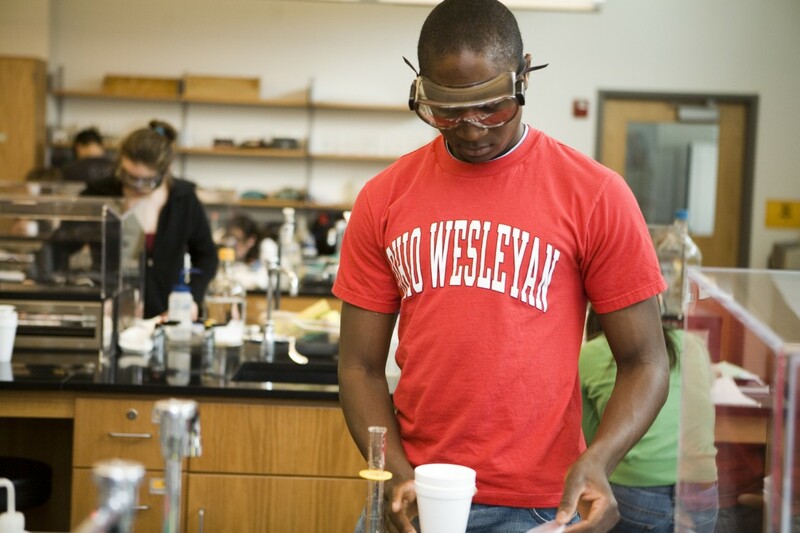 Recent OWU graduates are enrolled in medical school at Boston University, Johns Hopkins, Michigan, Northwestern, Ohio State, and many other top programs. John Milligan '82 majored in Chemistry at OWU and earned his Ph.D. in Biochemistry at the University of Illinois. He is now President and Chief Operating Officer of Gilead Sciences, Inc., a research-based biopharmaceutical company focused on the discovery, development, and commercialization of innovative medicines. 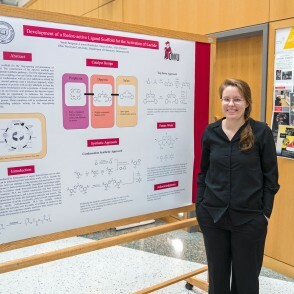 Recent OWU Chemistry graduates have pursued doctoral and master's degrees at the University of Chicago, the Colorado School of Mines, Concordia University and other programs. 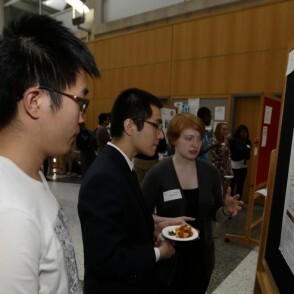 Students from every department present at the annual Student Symposium each spring. 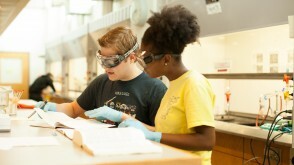 Chemistry and Music Composition major "L.K." 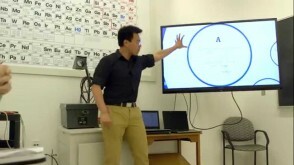 Khoa '16 presents his work at the Student Symposium. 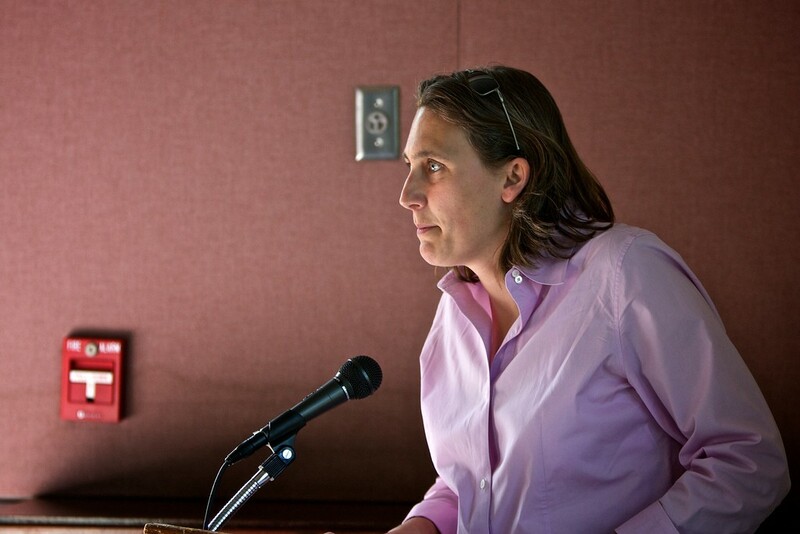 Professor Heather Grunkemeyer delivers a talk on campus.